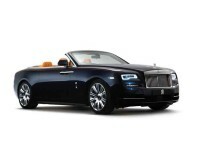 Shopping for a new Rolls-Royce can be a fun experience. Rolls-Royce makes some of the nicest vehicles on the road today including the Dawn Luxury, the Ghost Series II, the Phantom and many others. When shopping at traditional dealerships, however, it can be frustrating when they don’t have the exact model you’re looking for. It can be even worse if you want to be able to look at both Rolls-Royce and other options, but don’t want to have to drive all across the region to see the exact vehicles you’re interested in. Consider shopping differently. 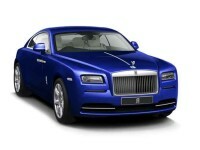 Here at eAutoLease.com we sell vehicles from virtually every manufacturer, including Rolls-Royce. You can look through our online inventory right from the comfort of your own home. You’ll see that we have thousands of vehicles to choose from, and they are all available for you to lease. 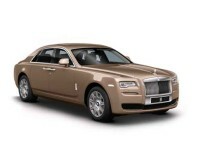 Whether you’re only interested in the Rolls-Royce lineup, or you have more flexibility in mind, we are here to help you. We are committed to helping all of our customers find the exact vehicle that they want. We don’t, however, have pushy salesmen who are in your face until you make a purchase like most other dealerships. Instead, we are here for you when you need us. If you have any questions or need help with anything, just give us a call at 860-744-0066 and they will be there to assist you in any way that they can. This is the perfect balance of having someone there when you need them, but causing any unwanted stress or anxiety. We also offer our customers help with any financing that they need. We can find you the best rates for your lease quickly and without any trouble. In many cases, we can get you a nice loan that will ensure your monthly payment is very affordable, even if you get a high end vehicle. Our financing experts will be there to assist whether you have perfect credit, or you have had some trouble with your credit in the past. No matter your situation, we will work hard to set you up with the auto lease that you want and the terms that will work for your budget. 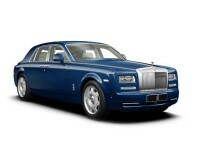 We have a full selection of Rolls-Royce as well as vehicles from nearly every other manufacturer around today. No matter what type of vehicle you’re looking for, please give us a call at 718-871-CARS (7722) and we will be there to assist you every step of the way. We can help you to find the perfect vehicle, set up the financing and even deliver the car right to your home or business. You won’t find a faster, friendlier, more affordable way to get a new vehicle anywhere in the region so please contact us today. We look forward to helping you with all your auto leasing needs.